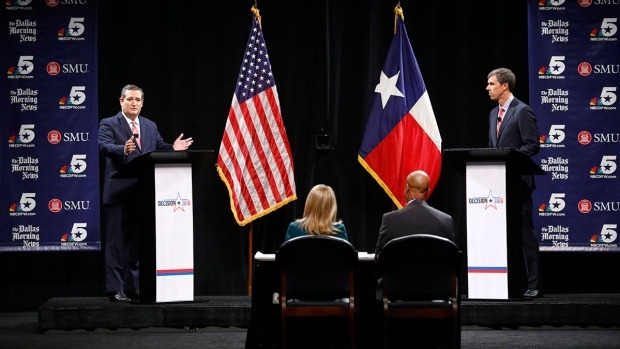 U.S. Sen. Ted Cruz and U.S. Rep. Beto O'Rourke debate at SMU in Dallas, Sept. 21, 2018. The second debate between Democratic U.S. Rep. Beto O'Rourke and Republican Sen. Ted Cruz has been postponed because the Senate may be in session this weekend to vote on Brett Kavanaugh's confirmation to the Supreme Court. Organizers announced Friday that Sunday night's event at the University of Houston was off while they work with both sides to possibly reschedule. 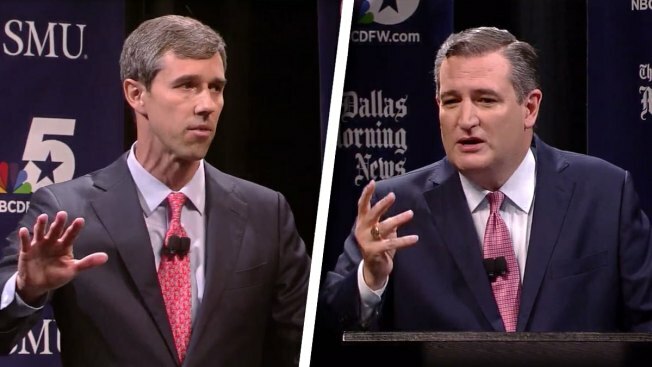 O'Rourke and Cruz debated last week in Dallas and had been set to meet a third time in San Antonio on Oct. 16. O'Rourke is giving up his El Paso-based House seat to challenge Cruz. He's used monster fundraising and an energetic campaign to attract national attention. Most polls have him within striking distance of Cruz , though a Democrat hasn't won statewide office in Texas since 1994.